Rosemary Beach is a 107 acre beach front community located on the eastern end of Scenic Highway 30A. The entire community is planned with several neighborhoods connected through walking and biking paths. 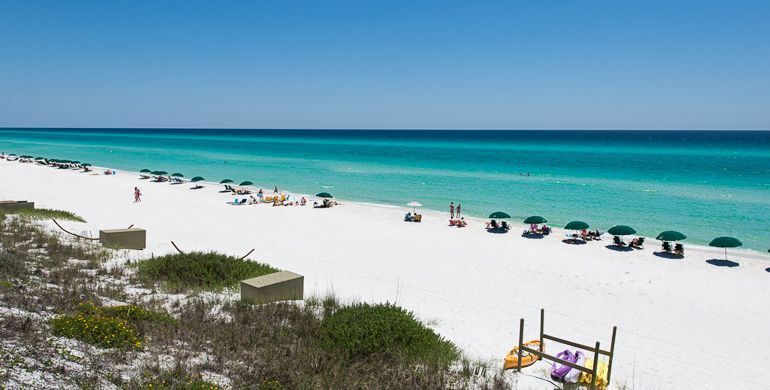 Cars are left at home since almost everything in Rosemary Beach can be reached on foot, including the beautiful white sandy beaches and crystal waters of the Emerald Coast. 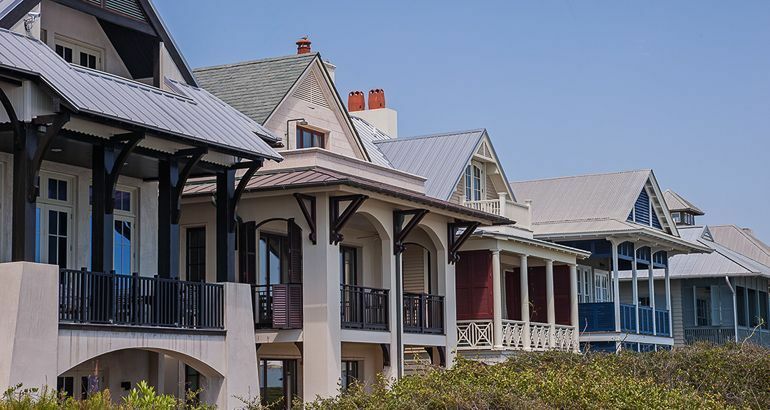 Rosemary Beach is a truly special place for those who would like to get away from it all and still live in a well planned, thoughtful community that is all about its gorgeous surroundings. Life in Rosemary Beach is always easy going. While the town may be small, the people are friendly and boast a close-knit community. Days in Rosemary Beach are spent relaxing at the beach, browsing local boutiques and galleries, and enjoying unique dining experiences. At night, people relax on the wide-open porches which wrap around almost every home. Life is laid back at Rosemary Beach and everything seems stress-free. At Rosemary Beach, you will find unique and custom built homes. Since this community is arranged around walking paths, the roads are kept out of the way and alleyways around the homes keep cars out of view. These upscale homes are truly one of a kind and are built to take advantage of the beautiful views and sea breezes. 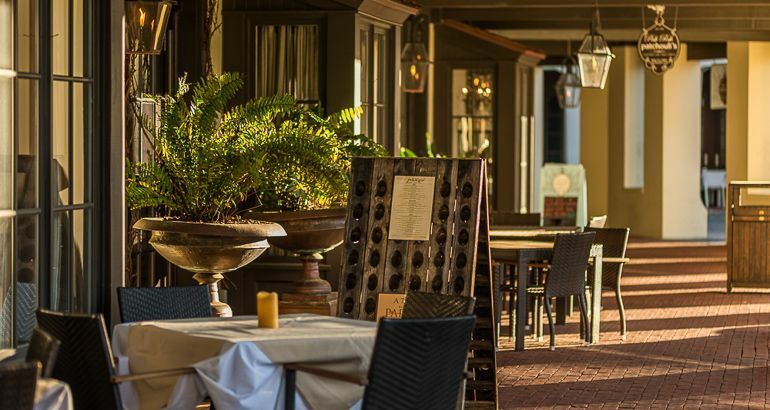 Designed with the values of days gone by in mind, the ambiance and architecture of Rosemary Beach is a unique mixture of the iconic 19th century American resort town with a traditionalist European village to create an atmosphere that is brimming with charm. There are over 500 homesites placed along the narrow boardwalk lined with native trees and plants. These details along with the high sand dunes have created a community which is an excellent combination of man-made amenities mingled with natural surroundings. Rosemary Beach may be a quiet, quaint seaside resort, but there is never a shortage of things to do. You can go shopping and dining at Town Center or participate in one of the many special events occurring year round. Town Center Shopping: Town Center is filled with independent merchants offering exactly what you need over your beach vacation, including gifts, gear, fashion, jewelry, toys, books, and more. In Rosemary Beach, you’ll find tons of unique shops like Bamboo Bicycle Company, Fitz and Emme – A Children’s Shoppe, Rosemary Beach Trading Company, and The Hidden Lantern Bookstore & Gallery. Town Center Dining: You’ll also find plenty of places to grab a bite to eat when you’re in Town Center. Looking for a quick snack or something sweet? Head to local favorites like Amavida Coffee, La Crema – Tapas & Chocolate, or The Sugar Shak. If you’re looking for a tasty meal, then you should try Wild Olives Wine, Cheese, & Bistro, Restaurant Paradis, or Edward’s Fine Food & Wine. Special Events: There is always a special event coming up in Rosemary Beach. Almost every weekend you can enjoy activities such as the farmers’ market, seasonal and holiday market, community festivals, “fun runs” and long-distance running events, merchant open houses, wine tastings, and much more. You can find out about all of these upcoming festivals on this online events calendar. Rosemary Beach was founded in 1995 by the same company that designed Seaside, Florida. The designers noticed that the people of Seaside frequently chose to walk rather than drive and decided to take this lifestyle into consideration when planning Rosemary Beach. The community uses a rear alley system. This means that cars are parked in garages in the back of the houses, while many of the homes’ facades face wooden boardwalks. 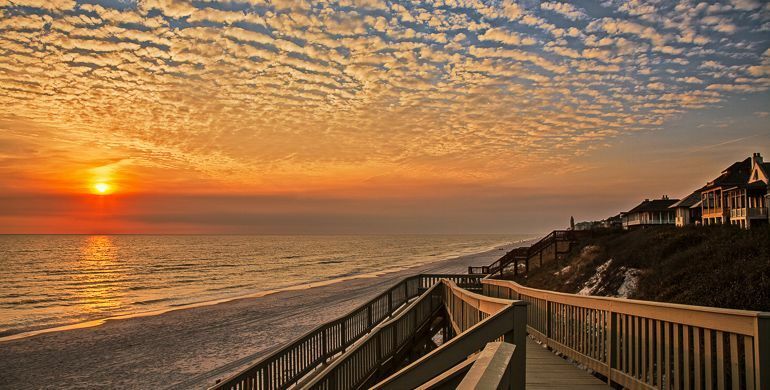 If you are looking for a full-time or summer home where you can keep the car parked while you walk to the beach, go shopping, or dine at a restaurant, then Rosemary Beach is the perfect place for you. Whether you live in Rosemary Beach year round or own a second home that you visit seasonally, you’ll always find what you need in terms of rest and relaxation at Rosemary Beach. Because everywhere is accessible by foot, you’ll get to know the community and the people within it as you go about your day to day activities. For more information about how you can make Rosemary Beach your new favorite place to escape, don’t hesitate to contact us!